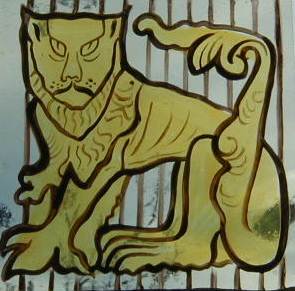 30years of stained glass skills go to make the finest traditional stained glass. 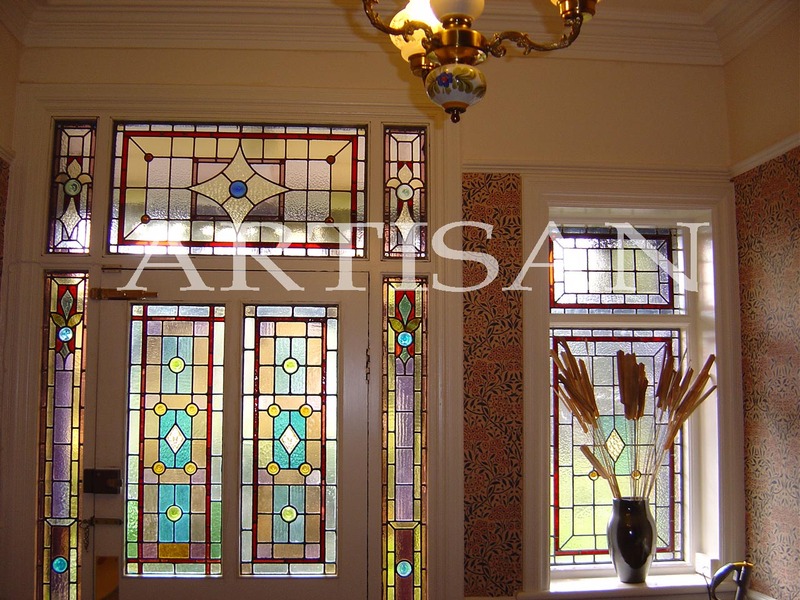 Our stained glass services are by appointment if you require a price or design consultancy. Please call Tom on 07976 832 323. Customers are also welcome to visit our shop in the centre of Sale, Cheshire by appointment if you require a consultation or price. 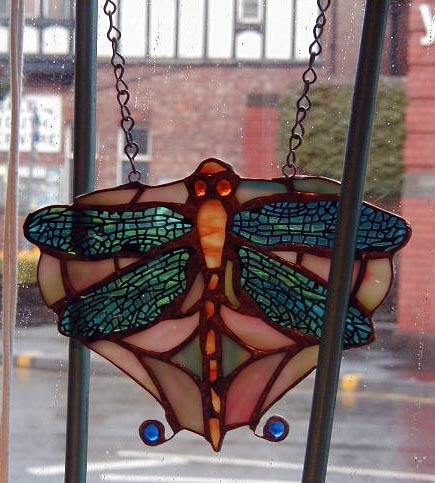 Examples of our stained glass can be seen in our shop as well as some of the items from this website. 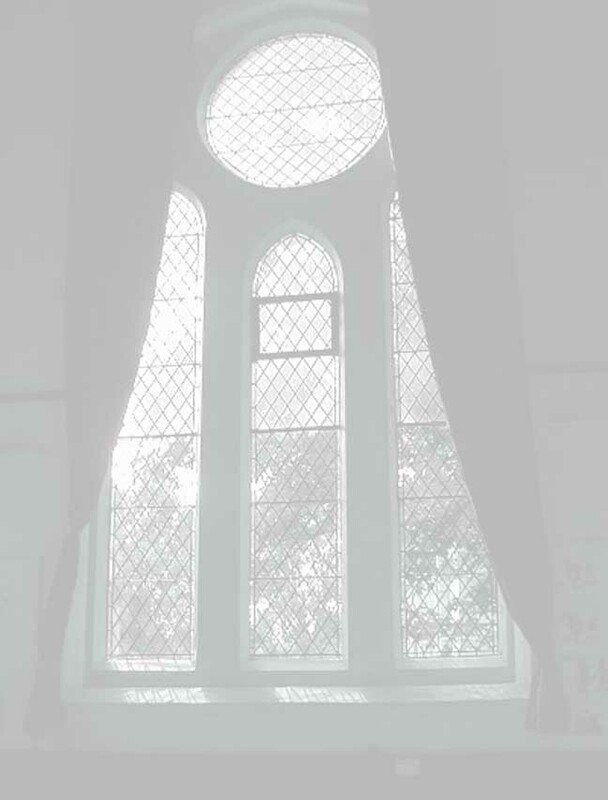 It is advisable to call first to check as we carry out on site work which can mean we close the shop. 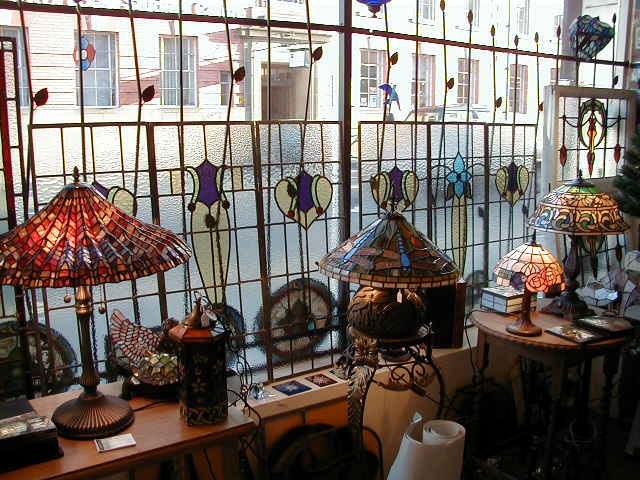 We retail wonderful Tiffany style lamps as well as displaying photographs and examples of our works. Above: Some old and some new made and designed by Artisan. Can you tell which is which? Above: An example of the type of items sold in our shop.